CRIME thriller enthusiasts are being called upon to help decide the narrative fate of a brand new novella this autumn using social media to plot out the direction for three celebrated crime authors in a unique literary experiment. 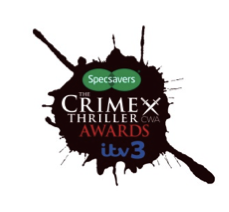 After the success of #youdunnit, Specsavers and Penguin’s social media crowd-sourced novella in 2013, crime readers will be enticed with a new kind of involvement this weekend. 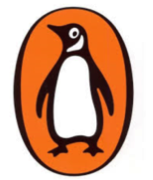 In a partnership between Specsavers and Penguin’s crime community Dead Good Books, crime fans will steer the story through Facebook and on a dedicated website, influencing the very direction the narrative will flow in. Best-selling crime authors Christopher Fowler, James Oswald and Jane Casey will be challenged to write their chapter based on the decision made by readers. Each author will follow on from the last, shaping the narrative and adding their own unique style and take on the journey presented to them. A digital only eBook will be given away free from the 24th October including all chapters and their hidden alternatives. The mass participation event, called #ChooseThePlot, begins on 23rd September. Contributors can find all information about the campaign by visiting www.specsavers.co.uk/choosetheplot. The site will guide them through every step of the process, and all the details about the progress of the stories. The partnership between Specsavers and Penguin was created and project managed by Manning Gottlieb OMD. CHRISTOPHER FOWLER is a Londoner born (in Greenwich) and bred. For many years he jointly owned and ran one of the UK's top film marketing companies. He is the author of many novels and short story collections, from the urban unease of cult fictions such as Roofworld and Spanky, the horror-pastiche of Hell Train to the much-praised and award-winning Bryant and May series of detective novels - and his two critically acclaimed autobiographies, Paperboy and Film Freak. His most recent novel is Bryant and May The Bleeding Heart. JAMES OSWALD is the author of the Detective Inspector McLean series of crime novels. Currently there are four available, Natural Causes, The Book of Souls, The Hangman’s Song and his most recent Dead Men’s Bones. He has also written an epic fantasy series, The Ballad of Sir Benfroinas well as comic scripts and short stories.In his spare time he runs a 350 acre livestock farm in North East Fife, where he raises pedigree Highland Cattle and New Zealand Romney Sheep. JANE CASEY is an internationally best-selling crime author, married to a criminal barrister, she has a unique insight into the brutal underbelly of urban life, from the smell of a police cell to the darkest motives of a serial killer. This gritty realism in her books has led to critical successes; while D.C. Maeve Kerrigan has quickly become one of the most popular characters in crime fiction. Twice shortlisted for the Irish Crime Novel of the Year Award as well as the Mary Higgins Clark Award. The fifth book in her Maeve Kerrigan series The Kill is published on 20th November 2014. · Specsavers supports several UK charities including Guide Dogs, Hearing Dogs for Deaf People, Sound Seekers, the road safety charity Brake, the anti-bullying charity Kidscape and Vision Aid Overseas, for whom stores have raised enough funds to build a school of optometry in Zambia and open eyecare outreach clinics in much of the country.